We offer an extensive line of hot melts, waterbased, double-sided tapes and structural adhesives with personal glue experts to help in your selection process. Optimize your production process while cutting costs. We supply and help find the best hot melt for your application. Talk to our glue experts today! Get a strong bond that increases your production standards. 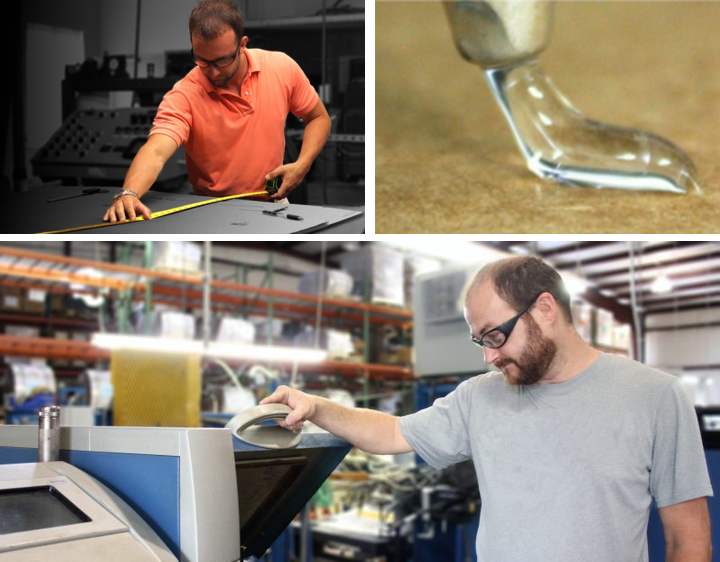 We offer a full selection of water-based adhesives for all your applications. Instantly bond many surfaces with Adhesive Squares™ double-sided pressure sensitive adhesives. Adhesive Squares are available in various sizes, thicknesses, and tack levels. These individual adhesive squares are formulated for easy release from the liner and increased adhesion to instantly bond many surfaces. Each adhesive square, strip and patch is designed to a uniform thickness. This results in a strong, consistent bond. Visit our Adhesive Squares page. Instant adhesion combined with faster cure times provides the ultimate performance for your assembly applications. Learn more about the services and products offered by RS Industrial by downloading the catalog below. Not only do we distribute adhesives, we manufacture them, too. Our full selection of industrial adhesives has been designed to provide solutions for a wide range of markets, which includes general packaging, product assembly, labeling, contract packaging and more. We have developed multiple brands for a comprehensive line of adhesives that are of equal or higher quality than most national brands. All products have been value tested and performance screened by our in-house lab facility, ensuring our customers the best competitive solution available.